A large East Bay school district is setting the stage for what appears to be a nasty divorce. The arguments for and against Northgate High School seceding from the Mount Diablo School District have been going on for years, and on Monday night, school district officials discussed the issue at its final board meeting of the academic year. One side wants to stay married, saying a Northgate district by itself amounts to discrimination and exclusion. The other side seeking a divorce argues the move is about accountability to the community. Both sides were digging in their heels. "I don’t live within the district lines, the school lines for Northgate, so if this does go through, I will be excluded," high school senior-to-be Lucy Siale said. "I don’t see it as reasonable. I don’t see it as something they are doing in favor of the students. I think they are doing it against the students." 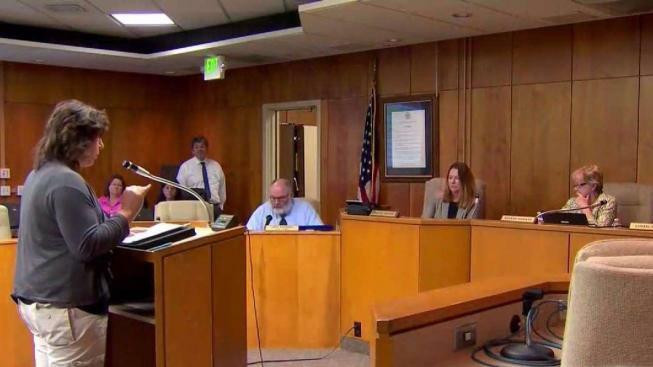 Northgate Community Advocacy for Public Schools submitted a petition with about 6,100 signatures to the Contra Costa County Board of Education, asking to leave the Mt. Diablo district. School board members Monday night listened to concerned parents. "It’s going to keep some of our students with the greatest need; it’s going to hurt them by taking away some of the services," one opponent said. Community activists are worried such services will go away for minority and low-income students if the district is torn apart. "The Mt. Diablo Peace and Justice Center is concerned about this as a segregation issue because the new district would be whiter and wealthier," center chairman Dan Reynolds said. Linda Losa, meanwhile, said she hates when people call the move racist. She says it has nothing to do with race. "The opposition deflects and says it’s about a lot of things that it’s not about," Losa said. "It’s about accountability; it’s about having a local school district that will be accountable to the community, to students, educators in the community period."